Perfectly situated on the Clyde Coast adjacent to the popular town of Largs and within a bustling Yacht Marina. Immerse yourself in the nautical atmosphere, hire a bike to cycle round the Isle of Cumbrae, walk the coastal path, visit the historic Kelburn Castle opposite the site, the home of the Earls of Glasgow. Restaurant and bistro on site as well as a changlery shop and beauty spa. 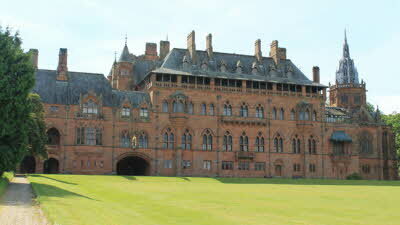 Mount Stuart, one of the world's great houses, arguably the finest piece of domestic Victorian architecture to emerge from Britain's 19th Century Gothic Revival. Set in 300 acres, the grounds are recognised as some of Europe's finest gardens with a collection of both exotic and native flora spanning several gardens. 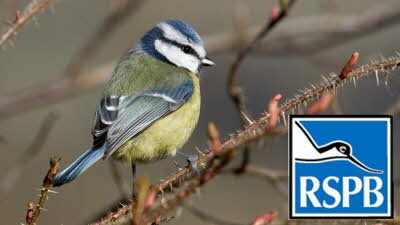 As one of the few wetlands left in west Scotland, Lochwinnoch is an ideal day out. It's the perfect spot to watch whooper swans, wigeons and a wide variety of ducks during the winter months. In spring, you won't want to miss the elaborate displays of the great crested grebes. 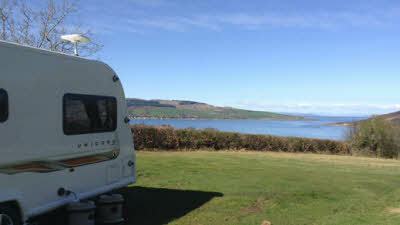 Back from our stay at the new Caravan Club CL, Largs Yacht Haven. Wellllll its different to what we are used to. A bit disappointed on arrival to find it was a penned off bit of a large car park. No sea view in fact only the back end of cars a lot of yacht masts. £25 a night for 8 spaces in a car park with electric. But it did grow on me as the time passed. Quite a lot going on in the boatyard beside us and good watching the boats coming and going - its just a big camping site for boats. 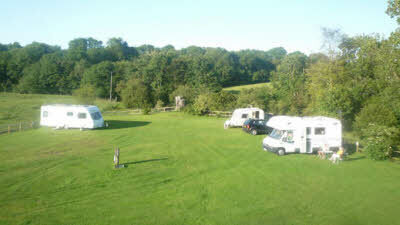 The Toilets and showers were as would be expected in a good campsite, there were laundry facilities also. We dined in the adjacent Scotts Eatery which was very good. There is an onsite coffee shop for the consumables a boat person might run out of. Largs was a 20 odd minute walk away. Would I go back -- yes. Note: Not going to be a place for awnings or things to be put into the ground - its tar.